the performer often referred to as "The King Of Pop" and one of the most successful musical artists in history, has died at the age of 50. 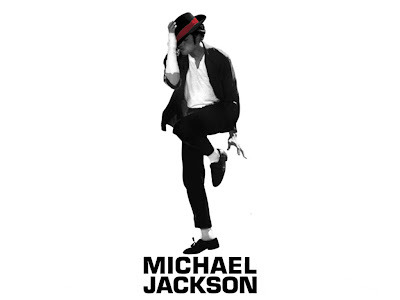 LOS ANGELES, California (CNN) — Michael Jackson, the onetime “King of Pop” who in later years was acquitted of child molestation and plagued by financial woes, died Thursday, according to the Los Angeles coroner’s office. Jackson was 50. Jackson, under cardiac arrest, was taken by paramedics to UCLA Medical Center under cardiac arrest where he was pronounced dead at 2:26 p.m. (5:26 EST), said Lt. Fred Corral of the coroner’s office. Corral said an autopsy will be performed Friday to determine a cause of death. Results are expected Friday afternoon. Brian Oxman, spokesman for the Jackson family, told CNN that three Jackson siblings — Randy, Jermaine and La Toya — were at the hospital. He said Jackson’s father, Joe Jackson, was on his way from Las Vegas. Some of Jackson’s music was being played, said Oxman. The sounds of “Thriller” and “Beat It” bounced off the walls. “It is one of the most unbelievable, surreal scenes I have ever experienced,” Oxman said. A large crowd was gathering outside the hospital, according to video footage. “For Michael to be taken away from us so suddenly at such a young age, I just don’t have the words,” Jones added in a statement. Jones said Jackson’s music continues to be heard throughout the world “because he had it all — talent, grace, professionalism and dedication.” He called Jackson the consummate entertainer whose legacy will be felt around the world. “I’ve lost my little brother today and part of my soul has gone with him,” Jones said. Jackson’s former wife, Lisa Marie Presley, said she was “shocked and saddened” by Jackson’s death. “My heart goes out to his children and his family,” she said. Outside of Jackson’s Bel Air home, police arrived on motorcycles. The road in front of the home was closed in an attempt to hold traffic back, but several people were gathered outside the home.